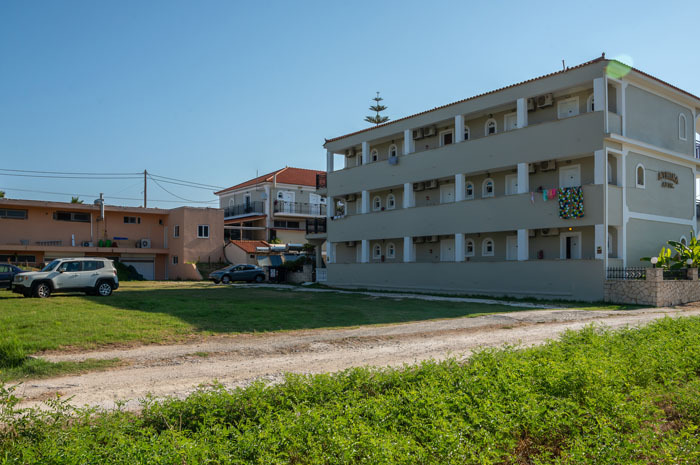 The Athina Αpartments is a family run complex situated in the center of the well known tourist resort of Kalamaki, on the south east coast of Zakynthos Island. It is close to all amenities and 500 meters from the peaceful sandy beach with shallow waters. The complex consists of basically equipped studios and apartments surrounded by beautiful landscaped gardens. Guests enjoy the various facilities available such as a mini library, free outdoor parking, free wifi internet access in common areas, Zakynthian hospitality offered in abundance by the friendly owners that are happy to help you get the most out of your holiday. If you are looking for a comfortable stay in a family friendly resort, very close to the beach and all resort amenities, the Athina Apts is the perfect choice for you! Choose a studio on one of the upper floors and enjoy calming views of the mountains or the blue sea. Choose an apartment on the top floor and enjoy people watching as the main shopping road of the resort is at your feet. The Kalamaki beach is protected by the National Marine Park as it is a nesting place for the endangered Caretta Caretta sea turtle. This is why there are no busy beach bars to disturb your sunbathing and swimming. Located right by the main Kalamaki road where you can find tourist shops, mini markets, bars, a water park, children's play areas, a tourist information center and traditional taverns. Right next to the complex there is a free, outdoor parking area for our guests. If you prefer a bicycle to get around the island, there is a bicycle rack within the complex grounds you can use. At the Athina Apts, we try to offer our guests a memorable experience with tips and suggestions that will help them enjoy their experience on the island to the fullest. Most guests have turned into friends through the years and it is always a pleasure to see them return. 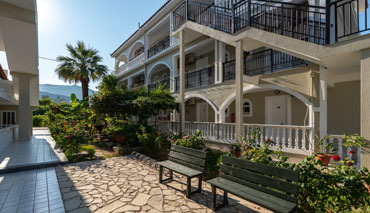 Our family and staff will be happy to welcome you to the beautiful island of Zakynthos. "Really enjoyed our stay at the Athina this year! 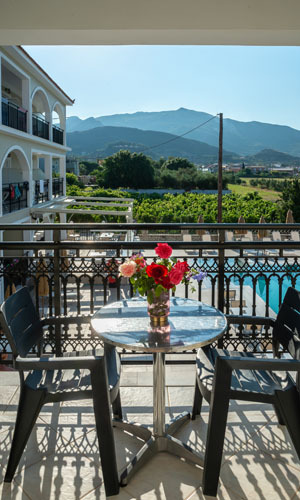 Staff were lovely and very helpful, perfect setting for the restaurants and cocktail bars in kalamaki and having free wifi, deposit box and mosquito nets on windows and doors was all a bonus not enjoyed at others around kalamaki." "Perfect stay! Free security box, Athina and her family so friendly and helpful. Rooms are serviced every day. Views from back rooms fabulous. Gardens lovely and very well-kept. Meshed doors/windows to keep dreaded mozzies out. 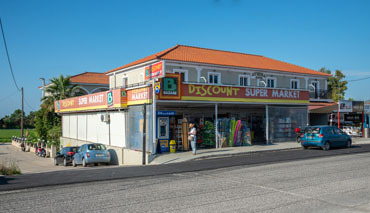 Just off main strip, supermarket around corner, pools over road, handy for everywhere! What more can you ask?" 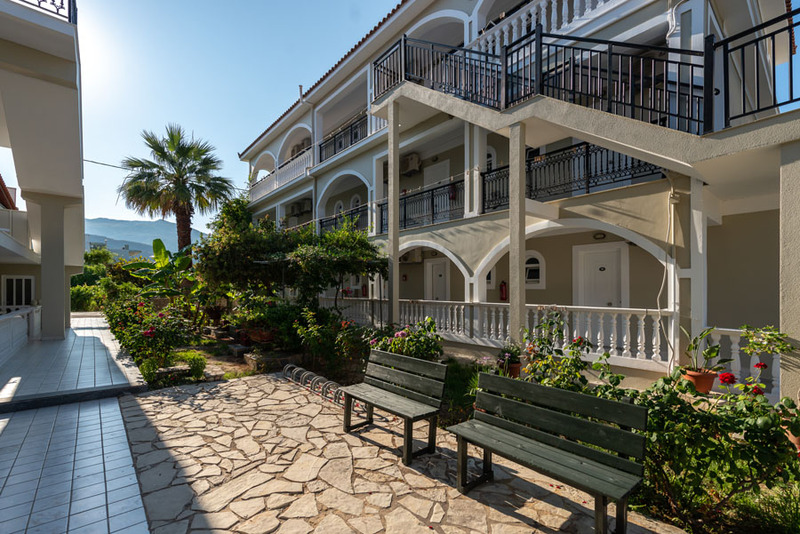 "We enjoyed 2 visits to the apartments this year and were looked after very well by Athina her family and staff. Every thing is perfect for us the location is central and the country and sea views are fabulous, can't wait to go back next year." "Just returned home its the 9th visit to Kalamaki,and really enjoyed our week in the Athina,its family run,and what a lovely family they are,rooms cleaned and fresh linen 5 days out of the seven,rooms are very clean,you will not be disapointed there."